The Retirement Living Council recognises high achievement across the entire breadth of the retirement living sector, incorporating design, innovation, refurbishment and sales & marketing. The annual Awards will recognise the excellence of companies that are seeking to provide senior Australians with the quality experience they are seeking in their retirement years. 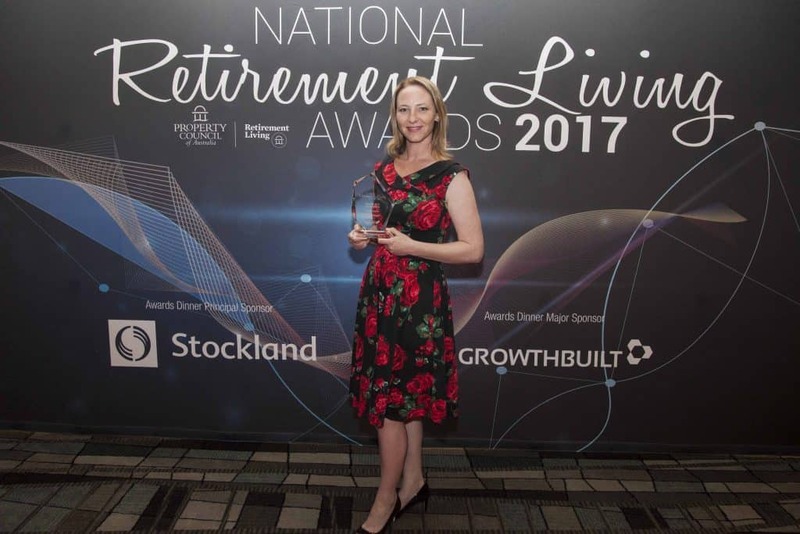 INS LifeGuard is pleased to have been chosen as a Finalist in the category of Retirement Living Innovation. The Retirement Living Awards will be held on Monday, 27th November, 2017 at the Sheraton Grand Mirage on the Gold Coast beginning at 7:00 pm. Tickets to the National Retirement Living Awards can be purchased separately or as part of a full conference registration for the National Retirement Living Summit. For more information, visit www.retirementlivingawards.com.au. Jo Bourke, Business Development Manager, accepted the award on behalf of The INS Group.